Chibig Studio has turned to Kickstarter to help fund their next game, Summer in Mara. Summer in Mara combines aspects of farming simulators, exploration, and a stylistic presentation. The player takes control of Koa, a young girl with an adventurous spirit living Mara. You’ll be spending your time farming, crafting, using your boat to explore surrounding island, and cultivate friendships with their inhabitants. You also must stop an evil corporation as they attempt to conquer Mara and exploit it’s resources. Chibig Studio is looking to raise at least $22,803 USD to make Summer in Mara a reality and as of writing this article has raised $19,288 so they aren’t too far off with a whopping 29 days remaining in their campaign. If you think it looks interesting you can pick the game up on either PC, PS4 or Switch for $15 if you get in on it in the next day or so, or $18 after that. If you want to shell out a bit more money to help Chibig out you can get extra goodies like an artbook (both digital and physical), the games soundtrack, a plushie, and even a ukulele! Stretch goals include adding more fully animated cutscenes like what you see in the trailer and a release on the XBox One. With new islands come, new people, ready to meet you and trade with you. Befriend them is very important since it will make Mara a better place. Because the ocean is in danger. An evil corporation called Elit wants to conquer and exploit Mara’s resources. Koa needs your help to finish Mara’s story. 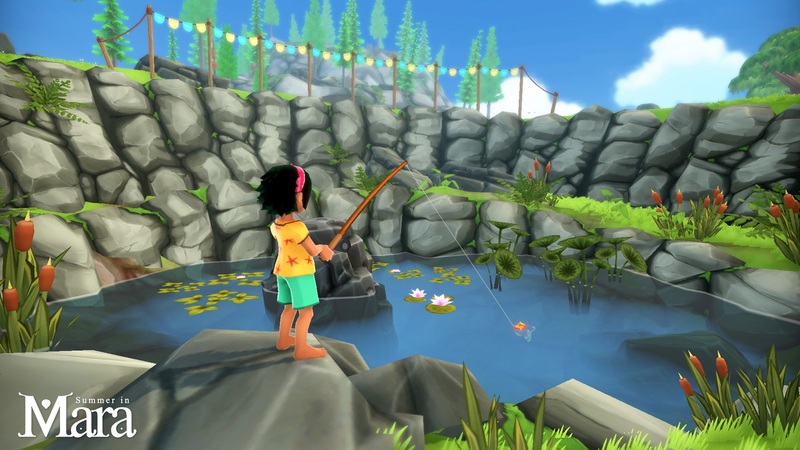 Summer in Mara is a mixture of all the things that we love: the exploration in The Legend of Zelda: The Wind Waker, the farming in Stardew Valley, the visual aspect of Studio Ghibli’s movies and the adventure feeling of your childhood summers. Summer in Mara will sail away to PC, PlayStation 4 and Nintendo Switch in summer 2019.